The surname Singh is so prevalent around the world that Canada used to ban immigrants from keeping it, claiming the name was too common to process quickly. Today, it’s a loaded identifier: violence against those who bear the name Singh -- adherents of the religion known as Sikhism -- has escalated since the attacks of September 11, so much so that the FBI has devoted a branch to investigating such crimes. Given the visual nature of the Sikh identity, the photo above is a long time coming. It's part of The Singh Project, a new undertaking by British photographers Naroop Singh Jhooti and Amit Amin. 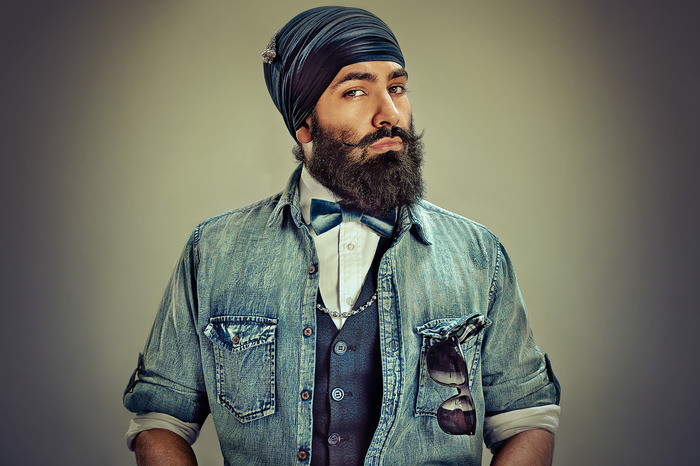 The series features tight-cropped portraits of Sikh men, intended to “highlight the subjects,” according to a video on the project’s Kickstarter page. The subjects are both diverse and narrowly chosen. Some are young, in leather and jeans. Others look like jolly grandfathers in a Tinkle cartoon. 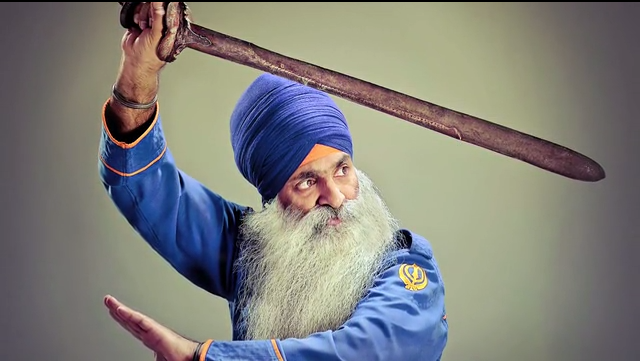 Several, young and old, brandish the traditional Sikh knife, or kirpan. All though, follow the Sikh tenet forbidding the cutting of hair out of reverence for the body. Accordingly, many Sikh men -- and some brave women -- tend to sport luxurious facial hair. Their uncut head hair is hidden by a turban. The regal look, often confused by the uninformed for an Islamic one, befits the faith’s commonest name: Singh comes from the Sanskrit word simha, which means lion (think Disney’s “Simba”). The project also calls to mind the work of Waris Ahluwalia, a Sikh man-about-town who’s recently stirred up press. Known to his admirers simply as Waris, the designer/model/gadfly made national headlines last year, when a Gap ad he was featured in across the U.S. drew anti-Muslim vandalism. The Singh Project is poised to pick up where Ahluwalia left off, broadcasting the unique look of Sikh men to the general public, with an exhibit of oversized prints.